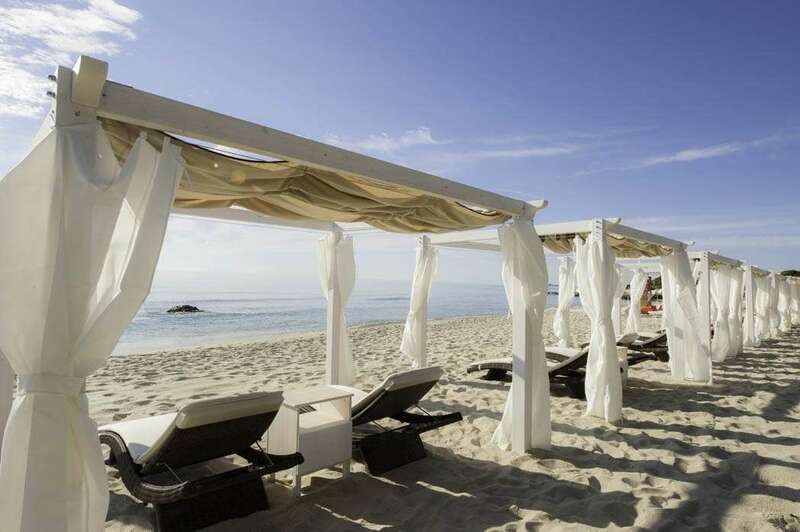 Against the stunning scenery of the south coast of Sardinia, Hotel La Villa del Re is a new 5-star hotel opened on June 13th, 2014 with the ultimate in style and comfort. A hotel with a particular style aimed at a clientele that is not seeking extravagant excess, but rather the privilege of feeling that they are welcome guests in a discreet environment that is both comfortable and fascinating. La Villa del Re Hotel is an ideal place for people who are looking for a fully relaxing stay: located in the middle of a large and beautiful park, with pines and palm trees alternating with the Mediterranean scrub. 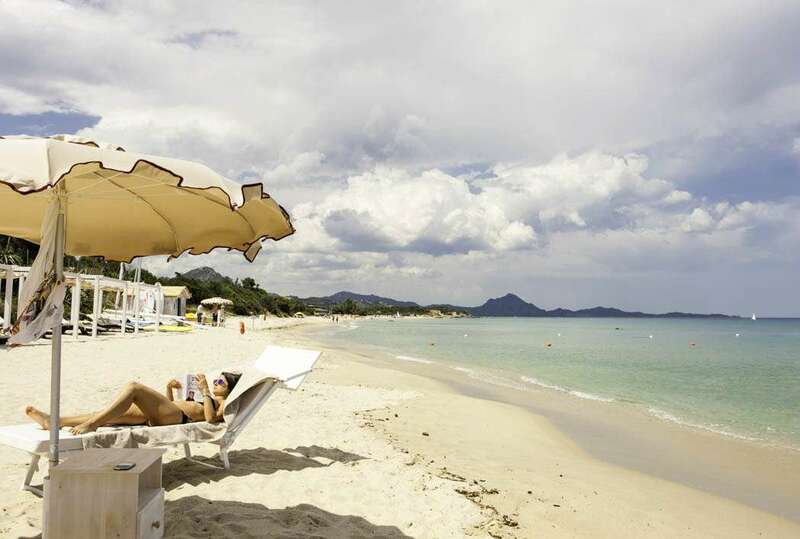 The hotel’s architecture is inspired by centuries-old Sardinian tradition and offers beautiful views of the Costa Rei sea, the coastline or the contours of the interior with the mountains in the background. 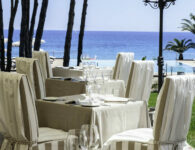 The hotel features a restaurant with a parterre overlooking the garden and allowing to indulge the sea-view. Also, an exceptional chef will delight you in a choice of aromas and flavours inspired by the Mediterranean gastronomy; a kiosk on the beach where you can taste a light lunch made by typical products at day, or if you wish a drink at the aperitif; a stunning Infinity pool made by the typical white stone of the area which laps against the beach and seems to blend seamlessly into the blue of the sea; a beach with the finest of white sand furnished with chairs,elegant umbrellas, sun loungers and deckchairs with state of the art fabrics offer shelter from the sun. 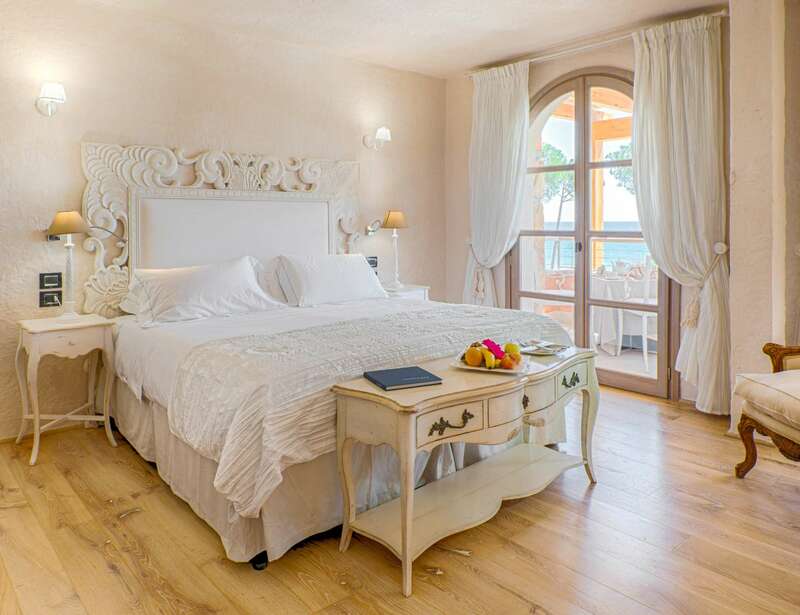 La Villa del Re hotel has 48 rooms with a personal touch of taste and special elegance. Facilities offering the ultimate in comfort go hand-in-hand with the delicate and charming décor. Our guests can choose among rooms which feature either baths or showers. 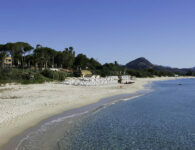 Each room overlooks both the delightful garden and the sea, providing you an unforgettable stay in Sardinia. 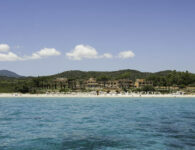 In order to enjoy a quite and relaxing stay, La Villa del Re will host adults only over the 18 years old. Little rules for a comfortable and a happy co-sharing. Either ground floor or first floor, main building or annex. Request of floor and building not binding and subject to availability. It features a bed with a topper in memory foam with high breathability, that provides maximum comfort and rest. At the moment of your reservation, please specify your bed preference between a double bed or two beds whose availability is limited. It is not possible to add neither extra bed nor crib. According to our children policy, please note this is an adults only hotel. Rate includes: VAT tax, american breakfast, afternoon teatime, bicycles and canoes (based on availability), swimming pool with parasol, sunbeds and towels. Room size: from 172 sqft. to 204 sqft. Bathroom area: about 53 sqft. Room size: from 172 sqft. to 247 sqft. Balcony or Patio: from 54 sqft to 129 sqft. Either ground floor or first floor, main building or annex. Request of floor and building not binding and subject to availability. It features a bed with a topper in memory foam with high breathability, that provides maximum comfort and rest. At the moment of your reservation, please specify your bed preference between a double bed or two beds whose availability is limited. It is not possible to add neither extra bed nor crib.According to our children policy, please note this is an adults only hotel. Room size: from 182 sqft. to 204 sqft. Balcony or Patio: from 54 sqft to 162 sqft. Either ground floor or first floor, main building or annex. Request of floor and building not binding and subject to availability. It features a king size bed with a topper in memory foam with high breathability, that provides maximum comfort and rest. At the moment of your reservation, please specify your bed preference between a double bed or two beds whose availability is limited. It is not possible to add neither extra bed. According to our children policy, please note this is an adults only hotel. Room size: from 236 sqft to 258 sqft. Bathroom area: from 54 sqft to 64 sqft. Placed at the first or ground floor with a balcony or patio, garden view. It includes a mini-bar, a flat screen TV LCD and free Wi-Fi Internet. It also features a bed with a topper memory foam with high breathability. At the moment of your reservation, please specify your bed preference between a twin and a double bed whose availability is limited. Request not binding subject to availability. Booking compulsory for a third single extra bed with a supplement of Euro 90,00 per night. According to our children policy, please note this is an adults only hotel. Room size: from 322 sqft. to 419 sqft. Placed at the first or ground floor, with balcony or patio, front or side sea view. It offers a bed with a topper in memory foam with high breathability, that provides maximum comfort and rest. At the moment of your reservation, please specify your bed preference between one double bed or two twin beds whose availability is limited. Request not binding subject to availability. Booking compulsory for a third single extra bed with a supplement of Euro 90,00 per night. According to our children policy, please note this is an adults only hotel. Room size: from 312 sqft. to 387 sqft. The hotel has a restaurant located on the ground floor with an outdoor terrace which opens out onto the terrace, with a panoramic view of the garden, pool and sea. It serves the finest Mediterranean cuisine, with a focus on local dishes and ingredients, bursting with the flavours of the fields and sea. The restaurant makes its own dessert and fresh pasta. Please note a smart casual dress code applies at our restaurant, gentlemen are requested to wear trousers. 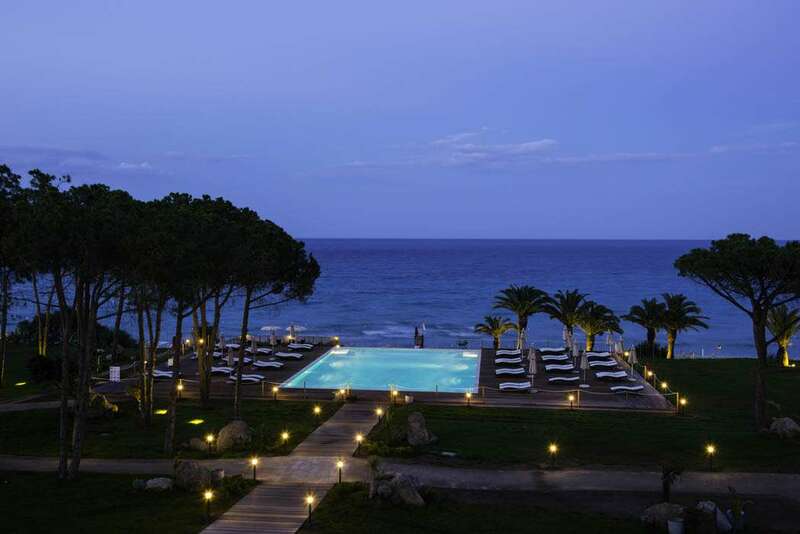 Between the beach and the hotel there is a large pool, lined with local white stone. 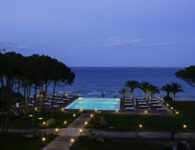 It is a beautiful infinity pool and stretches towards the beach offering the optical illusion of merging with the sea. Also a well-equipped poolside bar with a sea view, comfortable armchairs and palm-shaded tables will serve drinks and cold snacks to guests by the pool and on the beach. 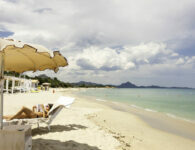 – Book at least 4 nights in one of Junior Suites rooms and get free transportations from and to Cagliari. The offer includes a welcome cocktail. 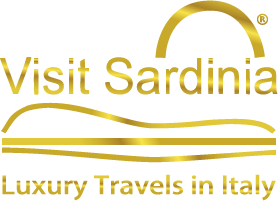 – Book at least 3 nights stay in one of Superior Garden View and get a coupon of € 50,00 for a lunch in one of the Restaurants. Overlooking Bernini’s Triton Fountain in Piazza Barberini, the Barocco is a boutique hotel with just 37 rooms (and a staff of 22!) located in an old aristocratic building in the heart of Baroque Rome. Carefully refurbished in 2010 and 2012 to offer guests superior standards of comfort and style, the Barocco has followed the example of leading international hotels, becoming 100% smoke-free. Attention to detail, absolute cleanliness, unique and highly sought-after rooms, an atmosphere from times past, and 21st-century technology, make guests’ stay at the Barocco a warm Italian experience full of magic. 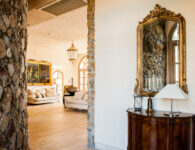 Luxury Villa di Piazzano is a “Historical Residence” dating back to the Renaissance. Once the hunting manor of Cardinal Silvio Passerini, the Villa today offers a genuinely warm hospitality, reminiscent of an old world country estate where the Italian ritual of welcoming guests is maintained to the highest level. The hotel is strategically placed on the border between Tuscany and Umbria and thus a good base to visit the many medieval towns in both regions. Pienza, Montepulciano, Siena, Arezzo, Perugia, Deruta, Gubbio, Assisi are just a few of the nearby attractions. The proximity to Cortona makes the hotel a good base for those travellers who want to be close to town (5 minutes by car) yet still be able to enjoy the beauty and tranquillity of the Italian countryside. Do we sell your information to third parties (other than in the course of a business sale or purchase or similar event): No, VIP SARDINIA SRLS does not sell data. However, when you register or sign up for certain types of content, your registration data can be shared with sponsors and partners. Examples of where we do this include event registrations, webinar signups or whitepaper downloads. We will always make it clear where any information provided will be shared with other parties. After you place an order on our website you will need to make payment for the goods or services you have ordered. In order to process your payment we use Stripe, a third party payment processor. In providing Stripe, Stripe transfers personal data outside the EEA. WHAT COOKIES DO VISIT SARDINIA USE?